“My name is Ahmir. Two years ago, the flowers bloomed along our street in Syria. Two years ago I played under the heavy boughs of the fig trees with my little brothers and sisters. Two years ago, my mother’s voice was a constant, if sometimes stern, sound that wound throughout the backdrop of my life. "Ahmir! Come inside! It is time for your afternoon nap! Bring your brothers and sisters!" my mother called to me that day. She never had to call me twice—I always loved our afternoon naps. Unlike most children, I loved to lay down and wait for dreams overtake me. In dreams I was running along rooftops chasing kites. In dreams I had the power to fly. But that day would be my last peaceful dream. That day would be the last time I looked forward to sleep. But that day would be my last peaceful dream. That day would be the last time I looked forward to sleep. That was the last day of my childhood. It was the day my nightmares began. I don't remember what I was dreaming about that day. I only remember the screaming sound of the rocket. I knew it was a rocket because we’d seen and heard them flying through the sky more and more often. The sound jarred me from my sleep and a second later our home shook like the world was being turned upside down. My ears rang and I instinctively searched with my hands for my little brothers and sisters. I felt their bodies and heard their screams of terror. This was no dream. "Stay! Stay!" I yelled at them as I stood up, shaking, from our sleeping mat. Mama. I had to find mama. She usually cleaned and cooked while we slept. I ran out of our room and towards the kitchen, but there was no kitchen. A gaping hole loomed where our roof had been. I looked around the rubble on the ground and the fabric of her blue dress caught my eye. I ran to her, falling on my knees, calling her name. She never responded. She was gone. I ran out of our room and towards the kitchen, but there was no kitchen. A gaping hole loomed where our roof had been. Later that night we began our journey to Lebanon. Weeks later my father, brothers and sisters and I had settled into a camp in the middle of a dusty field, living in a tent left behind by another family. Today marks the two-years since we fled Syria, and two years since I last heard my mama’s voice. Today a group of Americans came to our tent. They sat on our mats, drinking tea as they talked with my father through an interpreter from a local church. I listened as they told my father that God brought them to us. They said God sent them to us to tell us we are loved and not forgotten. Today marks the two-years since we fled Syria, and two years since I last heard my mama’s voice. Our PEACE Relief teams are working with local churches in these areas to serve families and offer them the hope of Jesus. 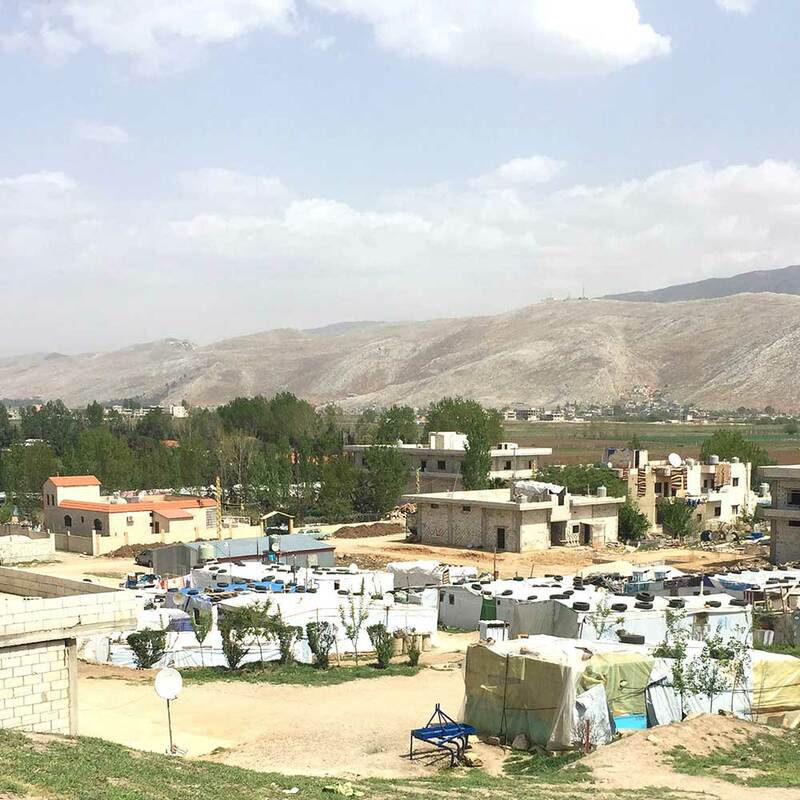 Ahmir’s story is just one of the stories from the nearly three-million refugees and displaced people in Iraq and Lebanon alone. Our PEACE Relief teams are working with local churches in these areas to serve families and offer them the hope of Jesus. Through Global PEACE, ordinary people are making an extraordinary impact serving churches around the world and empowering them to make lasting change in their communities. Whether it’s committing to pray, attending a training here at home, or signing up for an international trip, there are serving opportunities for everyone. Learn more about how you can be involved in making a difference around the world at saddleback.com/peace.